Government, through State Housing Company (SHC), intends to partner private sector developers to deliver housing units across the country. It would also complete all the uncompleted housing projects in the country. “By encouraging the delivery of more homes under a variety of demand driven initiatives, such as lower mortgage interest rates, rent-to-own schemes, dedicated income deductions for home ownership and lowering the cost of home delivery, we can create a housing market that works for everyone, meeting the diverse housing needs of our country,” the Finance Minister, Ken Ofori-Atta said. “A total of 50 units of townhouses and 24 units of flats at Roman Ridge will be completed by the end of the year for public and civil servants under the Redevelopment Programme. Starting in 2019 and over the medium-term, about 200,000 housing units of various types will commence in all the regional capitals of the country towards reducing the national housing deficit. Ken Ofori-Atta, Finance Minister, who disclosed this yesterday in Parliament, said in order to mitigate accommodation and housing deficit in the military, government continued the SSNIT Housing Projects at various garrisons in Accra, Tema, Ho, Tamale and Sekondi Takoradi to be completed in 2019. “The first phase of the four 16 units Housing Projects under the Barracks Regeneration Project will be completed and commissioned before the end of this year, and the second phase will commence in 2019. The second phase of the Security Agencies Housing Project comprising 368 housing units for the Ghana Navy has been completed. The Phase III comprising 320 housing units for the Ghana Police Service has commenced and will continue in 2019. To boost housing supply and strengthen coastal protection, government will continue to work on several projects such as the Saglemi Housing project, where 4,100 of 5,000 homes will be completed in 2019, and the Cape Coast, Anomabo and Anyanui-Keta coastal protection works. Government Affordable Housing Project at Asokore-Mampong for 1,030 housing units is 90 percent complete,” he added. “As announced in the 2018 Budget statement, work has been completed for the start of the pilot phase of the Mortgage and Housing Finance Market Scheme in November 2018. An amount of GH¢40 million has been released for the pilot phase, which will leverage additional private sector funds of GH¢40 million from pensions, insurance and collective investment schemes through selected commercial banks. 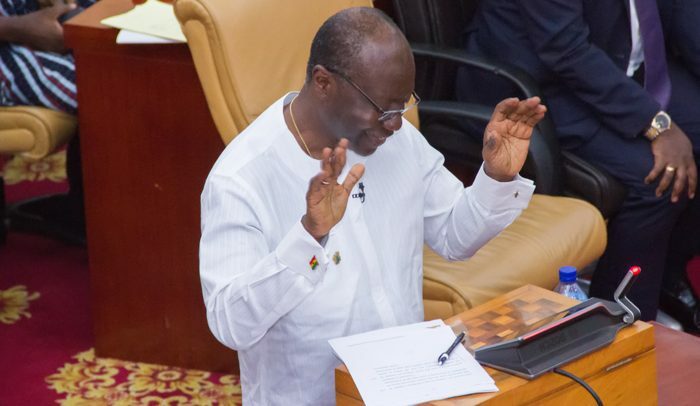 “Government has committed to a GH¢1 billion mortgage and housing finance fund, which will be seeded with a minimum of GH¢100 million every fiscal year over the next 5 years.